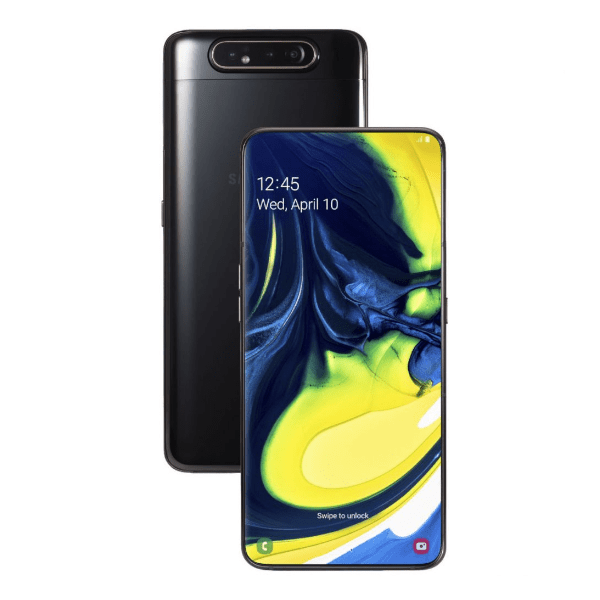 Colors: Phantom Black, Angel Gold, and Ghost White..
Meet the new Samsung Galaxy A80, the smartphones that’s built for the Era of Live. Galaxy A80 is built for those who live their lives in the moment. Whether you’re creating, performing, or just sharing, you can shoot epic on both sides with our innovative triple-lens rotating camera. See your stories and games come to life on your New Infinity Display, while being powered by Super Fast Charging with 25W charger,so you’re always connected. All of this is protected by Knox, so you know your data and device is secure from the inside-out. The Samsung Galaxy A80 changes how you document life. Its camera slides and rotates to catch what’s happening front and rear with 48MP camera. Therefore, front shot moments can now match the quality of those captured with the rear camera. The Galaxy A80’s 48MP (F2.0) camera gives you super crisp, clean resolution for shot-worthy moments. You’ll notice the difference when vlogging and streaming your day-to-day adventures. 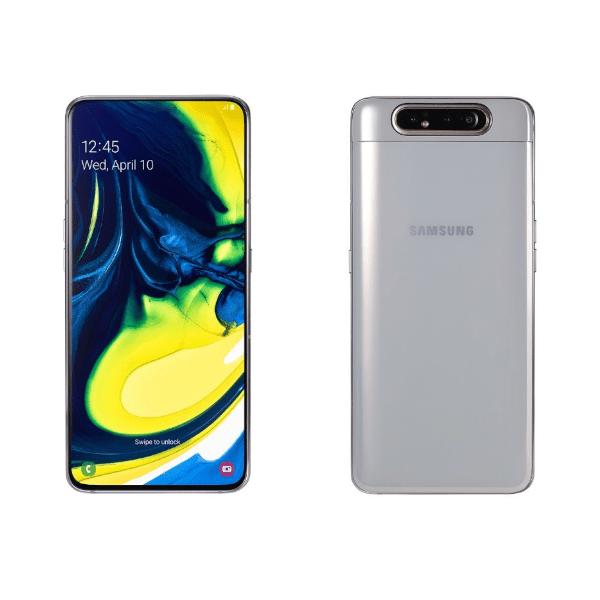 Right hand uses Galaxy A80’s 48MP Rotating Camera to record a selfie video with a friend in crisp detail.Right hand uses Galaxy A80’s 48MP Rotating Camera to record video of a friend in high resolution. With its incredible 123-degree field of vision, our Ultra Wide Camera is built to capture as wide as the human eye can see, live. So as things happen you can see and share more. The 3D Depth Camera detects the subject of your photos or footage so you can keep the focus on what matters. A distracting background will not get in the way of your story. Side-by-side video comparison of people skateboarding in a park. The Galaxy A80 side is shaky, dull, and difficult to follow, while the Galaxy A80 side is vibrant, smooth, and very steady. 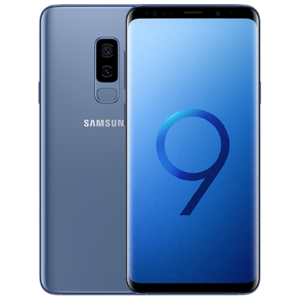 Samsung Galaxy A80 records like a pro-level action camera utilizing the Ultra Wide Camera and predictive software. Super steady gives you smooth live videos, even when your journey is on the adventurous side. Scene Optimizer helps your photos become even more stunning. Using AI, it identifies and optimizes the content of your scene based on 30 others like it. It’s also smart enough to suggest lighting adjustments automatically when it’s dark so that you can get the best shot possible. 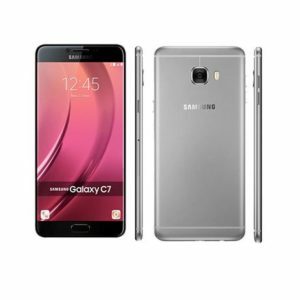 Going live 24/7 means you need a phone that fits in your hand comfortably. Samsung Galaxy A80’s smooth curves are designed for ease of use. Its striking design comes with glass and a metal frame that’s easy to hold all day and night. Stand out with modern classics like Phantom Black, Angel Gold, Ghost white. 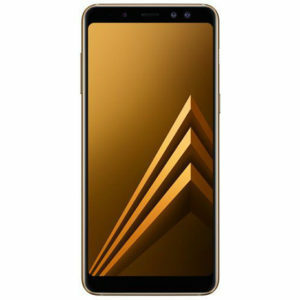 Three Galaxy A80s seen at a front-facing angle in Phantom Black, Angel Gold, and Ghost White. To stay live in an always-connected world, you need a big battery. Connect, stream, and share with a 3,700 mAh (typical) battery that lives to tell the tale. Adaptive Power Saving Mode optimizes power by closing unused apps. With 25W Super Fast Charging technology, it gives you the freedom to go. Galaxy A80 is the phone that’s up for the challenge. 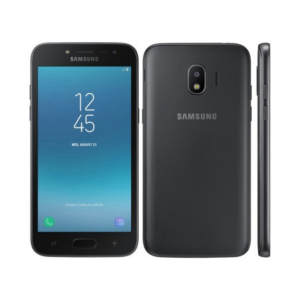 The Intelligent Performance Enhancer recognizes your mobile habits and optimizes the powerful Octa-Core Processor and 8GB of RAM so you can stream, game, and use your phone with incredibly high performance. Our On-screen Fingerprint Scanner is fused right into the glass, right where you need it, making it easy to tap and go. 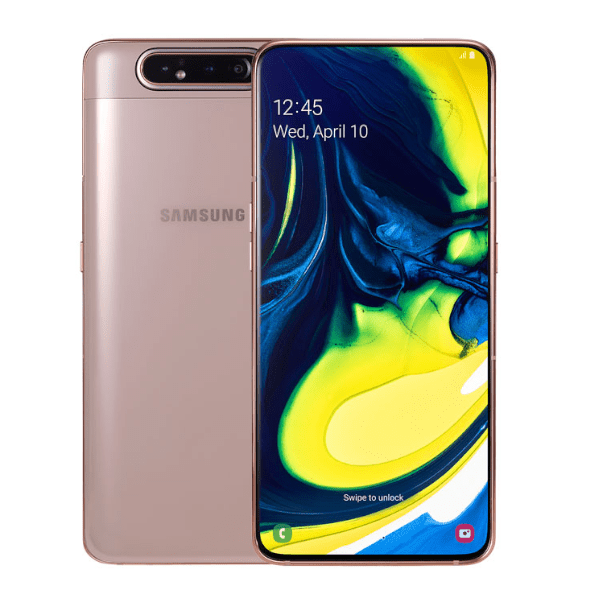 Galaxy A80’s top-of-the-line security is built from the chip up using Samsung Knox defense-grade system, so your personal data and device is being protected from the inside out. On-Screen Fingerprint Scanner scanning person’s fingerprint as they press New Infinity Display. Bixby Routines screen showing preset routines you can use to efficiently use your favorite apps. Bixby Vision screen showing how you can scan and shop for products you see in real life. Bixby Home screen showing Suggestions, Reminders, Calendar Events, and easy access to your favorite content. Bixby makes your everyday life a breeze. The AI learns how you live and what you do, then adapts your apps and settings to how you need them. You can choose from preset routines like school or workout. Personalize your routine based on the time of day like waking up or going to bed. Built into the phone’s hardware and software from the start, Samsung Knox protects your phone from the minute it’s turned on. Offering multi-layered security, it defends your most sensitive information from malware and malicious threats. Samsung Galaxy A80 laying flat with five simulated blue layers showing each layer of Samsung Knox security. Save time and do more of what you love. If you want to pin windows and tasks right on your home screen, Galaxy A80 gives you the power to do so with Multi Window.